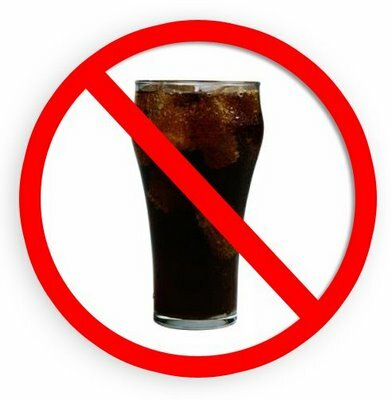 After much debate and wailing from the beverage industry, New York City’s Board of Health has voted to ban the sale of “sugary drinks” in containers larger than sixteen ounces in restaurants and elsewhere (excluding supermarkets). Mayor Bloomberg’s argument, now supposedly agreed to by the Board, is that sugary drinks are a leading cause in obesity, heart disease, and diabetes in NYC. And he says don’t forget, the City spends about $4 billion each year on medical care for overweight people. So his solution? No more super-size-me’s at McDonald’s. Maybe I’m in a cynical mood today (more than usual perhaps), but this is hilarious. I applaud Bloomberg’s efforts. True, big, sugary drinks of more than sixteen ounces probably does contribute to obesity and weight-related diseases, at least to some extent. And true, yanking away the option to biggy-size my Coke with the force of law could lead to a somewhat healthier lifestyle for some folks (wait, but what about Diet Coke? another debate in its entirety…). But really, is this going to help? I walk into a burger joint and gaze voraciously at a menu, which flamboyantly taunts me with double-patties, extra sharp cheddar cheese, bacon strips, onion rings, onion rings in my cheeseburger, fries, bigger fries, and cheese fries. “Heaven on Earth!” I exclaim, and I order it all. Have at it. Then, sheepishly, I whisper to the cashier, “And I’ll have a small Coke with that.” Do the math, my friends. Somehow, the caloric math does not come out in my favor. This ban is arbitrary. The power of local governments to inhibit the personal dietary choice of the individual is another story, equally worthy of discussion at some other point in time. That aside, if banning a food group is your weapon of choice, you’ve got to do better than sixteen-ounce sodas, NYC. God forbid, but maybe fries? That would certainly make NYC a less-enjoyable place (no more steak and frites? ), but the Board of Health would sleep better at night, knowing they’ve saved Gotham. NYC’s struggles, and the entire nation’s struggles, with obesity is not one-dimensional. Man does not live on sixteen-ounce sugary drinks alone. The issue is one of unhealthy lifestyles – lack of exercise, public perception, eating habits, and much more. But hey NYC, the ban does not take effect for another six months. Drink up. Restricting a person’s choice or enforcing a full blown ban never solves anything, does it? Prohibition is an example. Helping a person to change their way of thinking (hence their lifestyle) is much more effective. Yeah, not much of a fan of form over function.